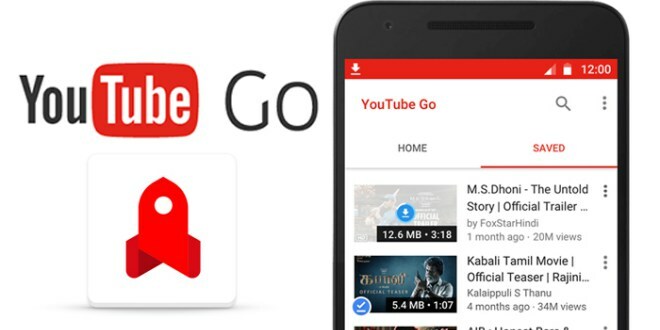 YouTube Go Beta Launched in India: The YouTube has officially launched Beta version of the YouTube Go app for Android in India. It was first announced back in September last year on its 18th birthday. YouTube Go comes with offline video viewing and sharing. It is aimed at users who have slow internet connection and are concerned about their data usage. YouTube supports 8 Indian languages – Hindi, Bengali, Tamil, Marathi, Telugu, Kannada, Gujarati and Malayalam. YouTube Go home screen features trending and popular videos in your area and offers more relevant content. The app offers a preview of the video when you tap on a thumbnail, giving you a better sense of what the video is about before you decide if you want to watch it. You can choose to save a video for offline viewing later or stream it now. It even allows you to choose the amount of data you would like to spend on a particular video. Finally, users can share videos with friends and family nearby without using any data. You can send and receive videos instantly and offline with others using the YouTube Go app. A home built for you: YouTube Go home screen features trending and popular videos in your area, so that users can find and discover videos that you and your community care about. Preview videos before you save or watch: On YouTube Go will show a preview of the video when users tap on a thumbnail, giving them a better sense of what the video is about before they decide if you want to watch it. Choose your resolution when saving or streaming videos: Users can choose to save a video for offline viewing later or stream it now. And it also allows you to choose the amount of data you’d like to spend on that video.